Hand weaving and hand knitting, originating in the west of Ireland, have both been popular since the 17th century. 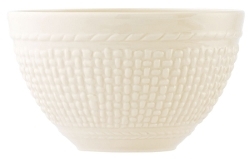 The designers at Belleek have been inspired by the rustic but beautiful patterns found in both traditional hand weaving and hand knitting. 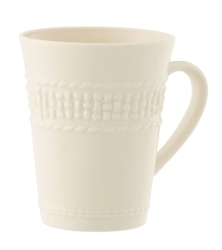 Each unique pattern originates from different families and holds its own name. Galway Weave is complemented by accent patterns, such as Cable, Tree of Life and Fisherman which can be mixed to enhance your table. 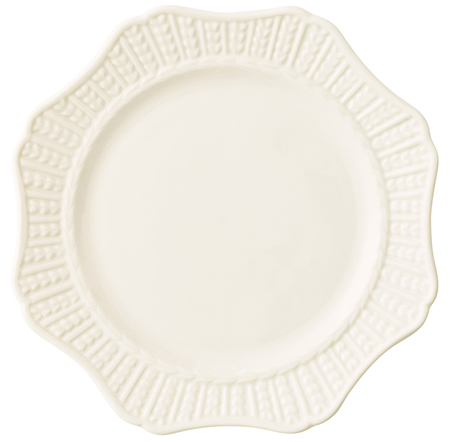 Beautifully designed and handcrafted in Ireland from fine Parian China this Galway Weave Scallop Accent Plate is embossed with beautiful patterns.